Where fun and Learning come together!! 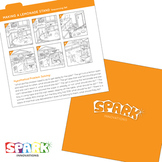 SPARK cards are specifically designed to encourage children to observe picture details and to improve picture interpretation skills. 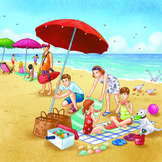 The cards can be used to enhance the ability of children to retell stories, sequence pictures, and problem solve. Ask The Spark Innovations a question. They will receive an automated email and will return to answer you as soon as possible. Please Login to ask your question.